One in five children live in extreme poverty, subsisting on less than $1.90 a day, UNICEF and the International Labour Organization (ILO) said in a joint report Thursday. The report said almost half of the world's children live in "moderate" poverty -- under $3.10 a day. Almost everywhere, poverty disproportionately affects children, as they are twice as likely as adults to live in extreme poverty, it said. The vast majority of children have no effective social protection coverage. Only 35 percent of children are covered by social protection worldwide, which is 87 percent in Europe and Central Asia, 66 percent in the Americas, 28 percent in Asia and 16 percent in Africa. "Poverty hits children the hardest, since its consequences can last a lifetime. 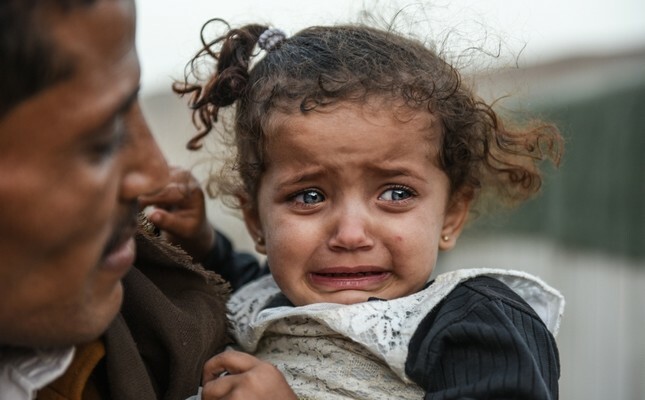 The poor nutrition and lost years of education that often result are tragic both for the individual and for his or her community and society," UNICEF Associate Director and Chief of Social Policy Alexandra Yuster said in the report. "Child poverty can be reduced overnight with adequate social protection," ILO's Director of Social Protection Isabel Ortiz said. The report urged the rapid expansion of child and family benefits to help achieve universal social protection for children.